Please be aware due to the volume of patients from the nearby Landseer Road Surgery wishing to register at this practice due to the impending closure of that Surgery, we regret that we have had to put in place a staggered registration system for all new patients so that we can cope with the level of administration required to process these registrations. We will therefore only be able to accept 30 new registrations per week for the foreseeable future. This does not necessarily mean that your registration will be refused. Please note that until we are able to process your registration, you may continue to be seen by your current GP Practice. 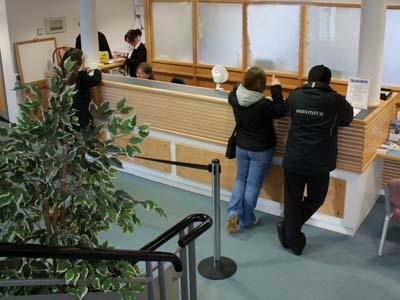 However, if you are new to the area and need to see a clinician urgently, please speak to a Receptionist. We apologise for any inconvenience caused by these interim measures. To register with us you need to collect a registration form and questionnaire from reception or download them from the links below. Once you have completed both forms, return them to the receptionist who will then process your registration. You will also need to provide 2 forms of identification to enable the practice to process and complete your registration. Please provide identification and complete forms for each person wishing to register including children. Patients undergoing treatment or on medication will need to book a New Patient Health Check with the Healthcare Assistant before a prescription will be issued by the GP. Click here to view information about how to register with a doctor for people who are homeless. Click here to view information about how to register with a doctor for Gypsy, Traveller and Roma communities. Click here to view information about how to register with a doctor for asylum seekers and refugees.